Devotees who wish to fulfill vows in various temples and special sevas have been spared of the indirect tax. Seva, Darshan land prasadas which is served in most of the religious structures have been kept aside of the tax. These facilities in the temples are absolutely exempted. People are booking sevas online. 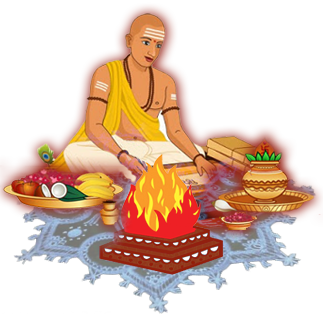 Goods and items that are used in Puja and other religious practices, as per the religion are exempted from Goods and Services Tax. Other Hindu rituals too, are not under the GST ambit. Free food which is served in temples, Gurdwaras, mosques etc has been remained out of the GST tax like before. Inputs and inputs services that are required to make prasad such as ghee, edible oil, butter, sugar, and transport services are under the GST. Devotees who use state-run religious endowment department lodgings, whose tariff goes above the number of 1000 per day, are subjected to pay more. Pearls, imitation jewelry, and coins that are often used in pujas have been kept under the Indirect tax at the rate of 3 percent. The goods and services tax Council, comprising the finance minister Arun Jaitley has made it clear to maintain a soft node on religious affairs and people's sentiments. The council has kept most of the rituals and religious stuff outside the ambit of the new tax law. Adding to the services and inputs, the Homeopathic and Ayurvedic medicines have been decided to go cheaper than before. Not only for Hindu population, has the government laid the same reform equally for Muslim, Sikh and Christian population. The GST is well accepted by Pandits, priests, and preachers of the country.